There is this garage door right around the corner from my apartment that is painted this soft avocado mint color. 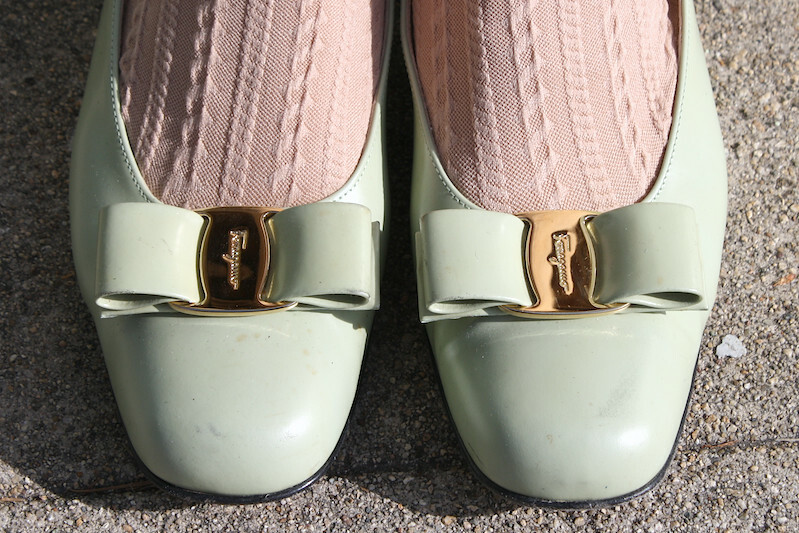 It is the exact same shade as my vintage Salvatore Ferragamo shoes and so it would be silly of me not to take photos there wearing them! You see a lot of black and red Ferragamos, but you seldom see ones that are mint color! The best part about these shoes is that they even came with the original box! I paired them with my favorite vintage coat of all time. I adore its giant fur collar and cuffs and the heavy tapestry texture is simply amazing. 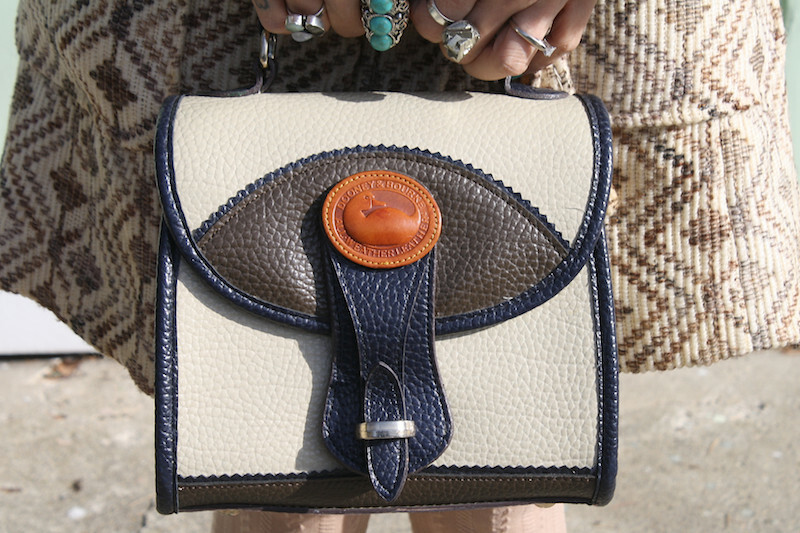 And what do you know... carrying yet another vintage Dooney & Bourke! I cannot even keep track of how many I have. 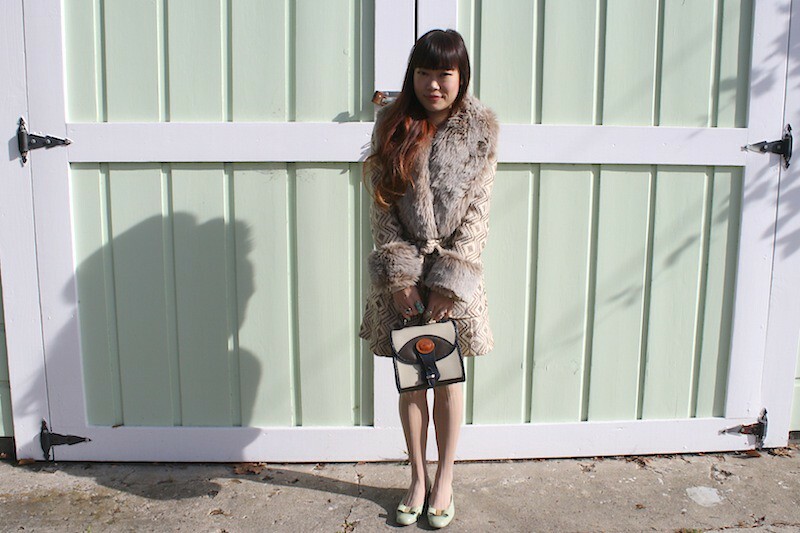 Vintage fur trimmed tapestry coat from Ashley Grace Vintage. 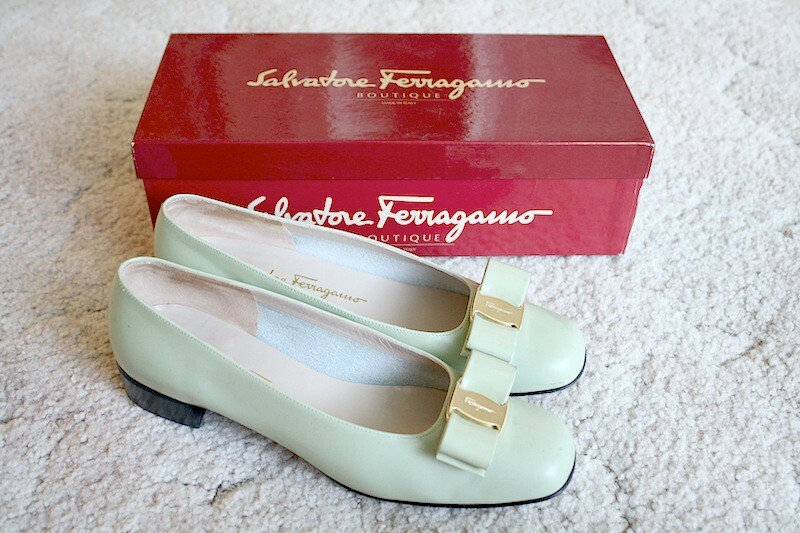 Vintage Salvatore Ferragamo shoes from Little Ocean Annie (The Friendly Fox). Pyrite ring from my work Sway. AGH!!!! I LOVE EVERYTHING!!! The coat and shoes are amazing. Wow, your coat is totally amazing, its beautiful. love it. I adore your outfit! I love the tights and the mint green shoes...so beautiful.